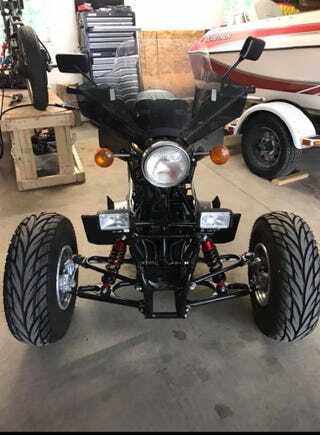 a 79 Suzuki motorcycle with a quad front end. Almost looks kind of cool. But CP for sure. If it was 1000 dollars less I’d maybe wang it.